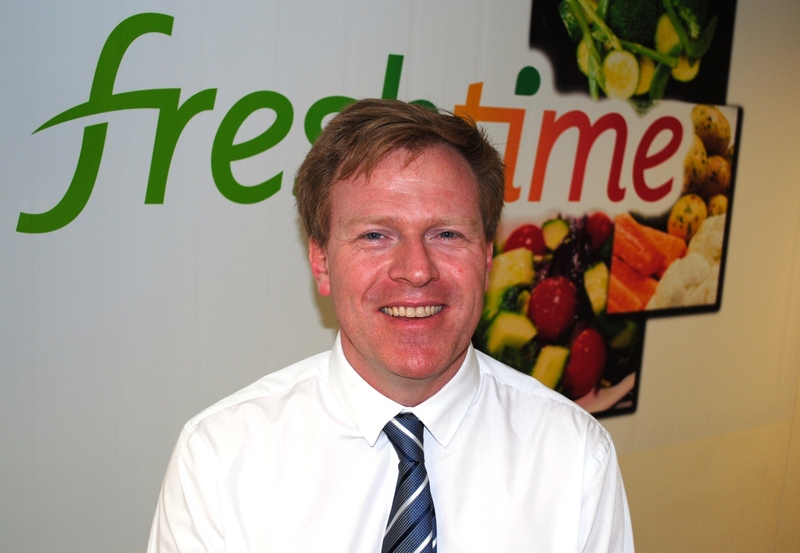 Snack salad and vegetable specialist Freshtime UK has recruited former chef Bryan Nelson as it expands its management team. Bryan hails from North Carolina in the United States but has been based in the UK since 1994 and has two decades of experience working in the UK food industry. He has been appointed as National Account Manager looking after one of Freshtime’s three biggest national retail customers. After coming to Aberdeen in 1994 to help open a new restaurant as head chef, Bryan worked as a development chef for salmon producer Pinneys of Scotland and as New Product Development Manager at Fisher Foods in East Anglia and at Geest in Spalding. He was also Commercial Manager at Young’s Seafood in Grimsby and New Business Manager at 2 Sisters Food Group before being offered the opportunity to contribute to the future success of Freshtime. Bryan’s appointment is the latest piece of the jigsaw being put together by MD Mark Newton, who took the reins of the business in October 2013.